If you are looking for a facial North Andover, MA locals can depend on to improve the quality of their skin, look no further than Embody Medspa. We are one of the most trusted names for wellness and skincare in New England. Our staff of experts know the in’s and out’s of the business, and we are always willing to help you improve the health of your skin, as well as your overall health. When you visit us at 315 Main Street, Suite 201 in North Reading, MA, you can expect the highest quality corrective facial treatments. North Andover, MA residents can stop by our friendly neighborhood location at any time during the day to talk to us about your potential skincare options. We work hard to make sure that we offer the best techniques and technologies that benefit all of our valued patients. At Embody Medspa, we offer customized facials that are extremely effective in treating and preventing any skin conditions. We use only the latest technologies to make sure that you are getting the best treatment when you visit us. You will be pleased with the results of our advanced techniques, and you will notice that your skin has never felt better! Our highly trained experts, Sharon and Shawn McEntee, are two of the area’s leaders when it comes to skincare, wellness, and cosmetic services. No matter what you are looking for in terms of a facial, North Andover, MA residents can trust the professionalism and overall quality of the services offered by Embody Medspa. When you are searching for the best in skincare and wellness, look no further than Embody Medspa. We know what it takes to provide local residents with top-notch services that they will rave about. Our top priorities are making sure that our customers are safe, happy, and satisfied with their results. We are always working hard to improve our work so that we can provide you with service of the utmost quality. Give us a call today at (978) 207-0345, or fill out our online contact form to get a hold of us. 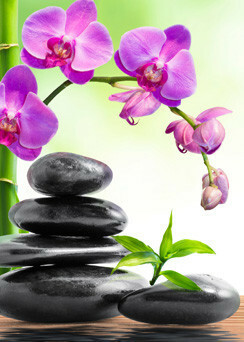 We are your area experts when it comes to a quality facial North Andover, MA residents will love.